Prohibit golf at a golf club?! Anyone familiar with how things operate at New Monuments should not be surprised. You are invited instead to participate in a writing challenge. 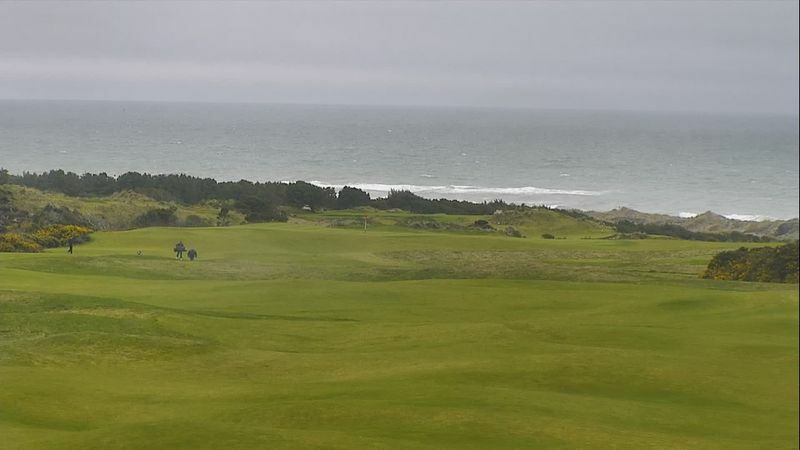 Your topic is anything within range of one of the course cameras located at Bandon Dunes Golf Resort in Oregon – anything but golf. Tender your entry via email, documenting camera position, date and Pacific Standard Time. Snapshots are welcome. 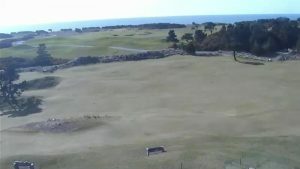 (The webcams have a “snapshot” feature.) The New Monuments Board will review submissions and post its favorites here. Note: While we anticipate multiple submissions from the Old Man, we encourage you to outshine him. The Golf Widow and Old Man will translate, upon request and gratis, French and German texts, respectively. What is the point of the exercise? 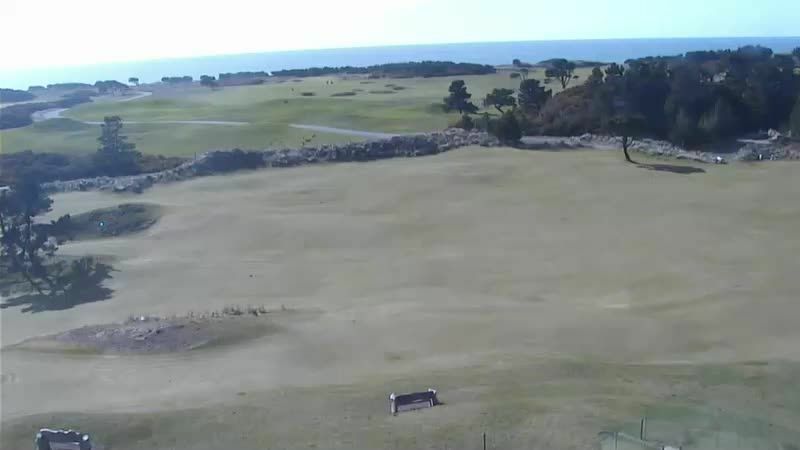 Golf Ban is the latest New Monuments forum dedicated to the proposition that a golf course’s most compelling reason for being is as a place of reverie. 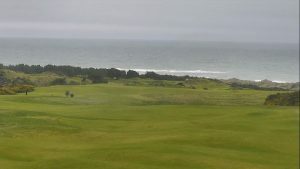 Why Bandon Dunes? Its webcams were tested (um, unscientifically on a few devices) and found to be reliable. Tip: Forge past any warning on the landing screen about technical difficulties; test the cameras yourself. Our present market value prevents us from being generous monetarily. If that changes, honorariums shall be distributed retroactively.